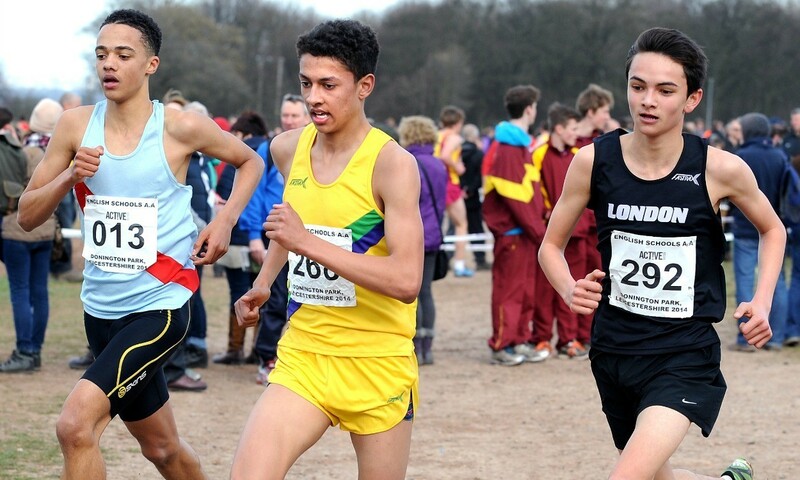 Ben Dijkstra continued his winning streak in Bolton on Saturday as the 15-year-old triathlete claimed inter boys victory at the SIAB International Cross Country a year after winning the junior title in Wales. Clocking 16:23 he crossed the line clear ahead of Ireland’s Kevin Mulcaire to lead England to the team title, with Mulcaire’s 16:34 preventing the winning team from a sweep of the top seven spots. The week before Dijkstra, pictured above, had become the first athlete for over 40 years to win boys junior and intermediate English Schools’ cross country titles in successive years. Harriet Knowles-Jones also continued her winning ways, easily adding the inter girls SIAB title to the English Schools victory claimed the week before and gold at the Inter Counties Championships. It was 42 seconds before her nearest challenger and younger England team mate, Sabrina Sinha, crossed the line, with Rosie Johnson clocking 16:51 and the other England runners filling the remaining places in the top eight. Ireland’s Patrick Maher was victorious in the junior boys race with 15:24 as England again took the team title. Matthew Willis, winner at Donington Park the weekend before, was second with 15:27, ahead of Ireland’s James Gerard Maguire with 15:38. Caoimhe Harrington shared in her team mate Maher’s success as she clocked 13:22 in the junior girls race to edge English Schools runner up Josie Czura, who recorded the same time. Maddie Deadman was third with 13:31.